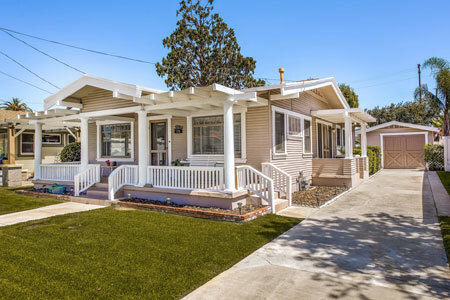 RARE OPPORTUNITY TO OWN A CLASSIC 1924 BUNGALOW on one of the most sought after streets! 2 Beds, 2 Bath 1214 Sq.Ft. Recent upgrades: 3 year old roof, 2 year old CENTRAL AIR CONDITIONING and furnace, earthquake retrofitted and re-plumbed and rewired. Great candidate for Mills Act application and potential property tax savings! Relish the convenient walking distance to almost everything and the pride that comes with calling Old Towne Orange home!